Big Question: Does The Pirate Bay Blockade Bring 'Something' to BPI? 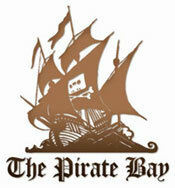 Major ISPs in Europe blocked The Pirate Bay is the major news you should know today. Virgin Media, Sky Broadband, BE, Everything Everywhere and O2 have blocked The Pirate Bay due to the court issues new blocking against The Pirate Bay and recently TalkTalk is also following the trend. This matter is closely related to the most practices carried out by The Pirate Bay that in some ways supporting piracy action. The number of netters that are accessing this website everyday is progressively increasing day by day and makes The Pirate Bay enjoys around 12 millions Traffic Boost. For netters around the world The Pirate Bay is the most popular torrent site where they always be able to access free contents, however for BPI or CIAPC (Copyright Information and Anti-Piracy Center), The Pirate Bay is not more than just an infamous torrent site which access should be limited or blocked from subscribers. It is almost impossible to tell subscribers to stop accessing the website that is why through legal action, all major ISPs, like it or not, should follow the order. Simple example, Elisia, the local ISP intially refused to follow the order but in the end they are forced through court order to follow the action and then the same order also forced TeliaSonera and DNA to follow Elisia. Perhaps the main purpose of blocking The Pirate Bay is positive; it is to stop piracy practices and give back the right of rightsholders. However, in short term the effect is totally the opposite, besides, as said by Peter Sunde "The Pirate Bay has been one of the most important movements in Sweden for freedom of speech, working against corruption and cencorship". The next question is, how effective the blockage mentioned above is? The fact is there are some ways that netters could use to access the website from changing the proxy so netters could access the website from the third party up to using several plugin and software that are avaialble for free in the internet. In the end, netters just see that how high traffic will be lead to BPI website because of the blockade because billions netters will start looking for information about this and some major ISPs are automatically leading their subscribers to BPI website everytime their subscribers are trying to access The Pirate Bay. Just a fortune for BPI to have a very high traffic and everyone knows that high traffic means bigger money to earn.